There, i’ve said it. And if you’re wondering if I took something, you are actually wrong. As you most likely will know when you read my blog, I work for a company that is well known for their storage products, and is also known for software solutions in a boat load of ranges like backup, replication, business continuity and much more. And a large part of my job is working with customers that use, or considering using, virtualization technologies like VMware. VMware has a big convention each year called VMworld, which brings the top speakers and topics to a central location for a couple of days to talk shop and show people what’s new and what’s good. This year, like every year, there was a call for papers. Basically A request for people to send in their ideas and suggestions for topics and sessions that should be presented. And boy, did they get some feedback on their call. There were boatloads of papers submitted and reviewed by the VMware guys and girls, and in the end they left roughly 800 session in their system. Now, 800 sessions might be a bit much for one convention, which means they need help in selecting the best ideas and the hottest topics, and they need your help. How? Just go to the VMworld, register an account if you don’t already have one, and go through the list with session abstracts and vote for the ones that you think are best. Did I also submit a session? Yep, and if you want to look it up, it’s session number 1863 and goes by the title of “vStorage APIs – What has changed since the introduction / How does it help me in real life?”. But as I stated in the first sentence, vote for someone else. I’ve only partially seen the list of topics, but there are so many good sessions proposals out there! I’ve seen so many folks blowing their own horn over their sessions, and I’ve decided to take a different route. Take your time, go through the list, and pick the ones you like best. If that should include my session? Great! If not? No problem, since you get to decide what sessions should be included, and you make the difference in making sure that VMworld will be a rocking event with only the best info and sessions. And the only way to do that, is by making sure you vote for the sessions you want to see. 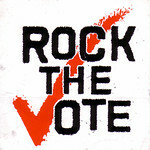 So go out there and vote and help make it a rocking event, and who knows, maybe we’ll get to see each other there! And the voting has now closed. Thanks for voting folks!